It is jointly organized by Karlsruhe Institute of Technology (KIT, Germany) and MINES ParisTech (France). We gratefully acknowledge support from the Priority Programme “Cooperative Interacting Automobiles” of the German Science Foundation (DFG), the IEEE Intelligent Transportation Systems Society and the International Research Chair Drive for All (MINES ParisTech). The Drive for All Chair is pleased to invite you to the “Infrastructure-Assisted V2V Messaging for Cooperative Autonomous Driving” seminar. We have the honor to welcome Dr. Manabu Tsukada of the Graduate School of Information Science and Technology of the University of Tokyo, Japan. The seminar will take place on Monday 22 May at MINES ParisTech. The seminar is public and free but registration is compulsory : https://goo.gl/forms/DmPDCrZXCzvJwK8L2. 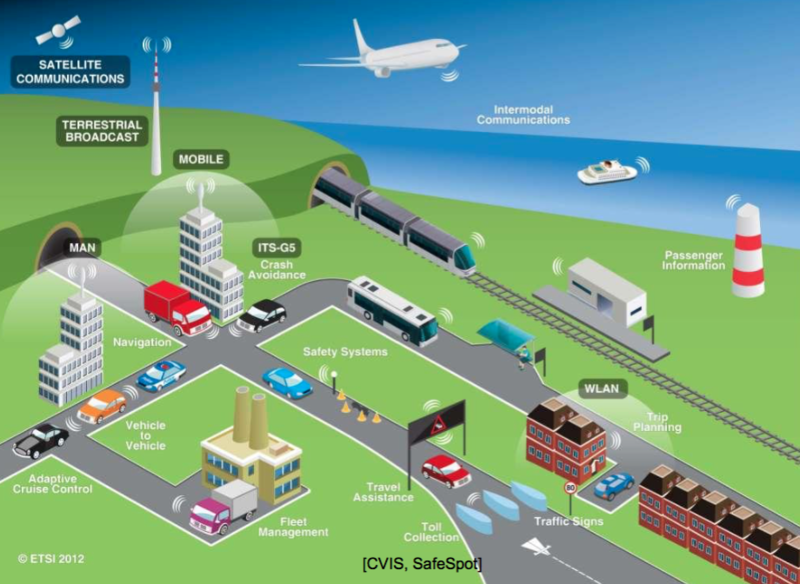 Cooperative Intelligent Transportation Systems (ITS) are systems where the vehicles, the roadside infrastructure, central control centres and other elements exchange information to achieve better road safety, traffic efficiency and comfort of the road users. These cooperative elements share the information by organising Vehicular Ad-hoc Network (VANET) or using the mobile network (e.g. 3G and LTE) and realises various cooperative ITS services. To promote wider deployment of such services, many stakeholders made consensus that the communication platform must be based on a common architecture and drive rapid international standardisation (e.g. ISO, ETSI, IEEE). In the near future, autonomous vehicles also benefit from such communication platforms by enforcing the perception, planing, and decision-making. However the most basic Vehicle-to-Vehicle (V2V) messages standardized in Europe, US and Japan suffer from same issues such as 1) unable to receive messages from the object without V2V transmitter, 2) message loss because of obstacle and wireless range, 3) vulnerable for malfunctioning and malicious node. For the solution, we propose an infrastructure-assisted V2V messaging system to support cooperative autonomous driving. We design the system based on the ITS Station architecture standardized in ISO/ETSI, working with any vehicle sensing technology. Moreover, we implement the prototype roadside system with a stereo vision for the vehicle sensing. The prototype system is evaluated in a field test in the campus of the University of Tokyo. The results show that the proposed system significantly improves the coverage of V2V messaging while the system overhead is limited. The proposal is being integrated to our personal mobility autonomous vehicle system based on an open source software. We are also planning the contribution to the international standardization of the technique. The Drive for All Chair is pleased to invite you to the Seminar “Some Autonomous Vehicle with a Canadian Flavor: From Current Project Initiatives to Testing, Validation and Challenges in Artificial Intelligence.” Denis Gingras, Director of the Intelligent Vehicles Laboratory (LIV) at the University of Sherbrooke, Quebec, Canada. The seminar will take place on Tuesday 9 May at MINES ParisTech from 15:00 to 16:00. The seminar is free of charge but registration is mandatory. automated road traffic analysis. In 2000, Dr Gingras was appointed Director General of the Intelligent Materials and Systems Institute (IMSI) at Université de Sherbrooke and full professor at the Electrical Engineering and Computer Science Department. During that time, he was also head of the Canadian research program “Intelligent systems and sensors” in the federal AUTO21 Network of Centers of Excellence (NCE) for 15 years. From 2003 to 2008, he was Group Leader of the Intelligent Vehicles Group in the ATLANTIC International Network (Canada-US-Europe). He is a member of different boards and committees such as the board of the CAHR Council (Canadian Automotive Human Resources) or the board of INNOV-ÉÉ in Quebec. He is a member of the APMA Connected Vehicle Working Group and the ITS Canada Autonomous Vehicle Task Force. 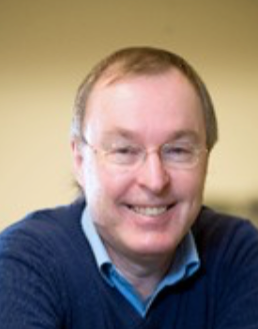 He was the instigator and Chair of the Canada-California Strategic Innovation Partnership-CCSIP- Committee on “Intelligent Vehicles and Transportation Systems”, allowing Canadian PhDs and postdoc students to complete internships in Californian automotive firms and universities. He was a member of advisory committees of the ANR in France (French Research Agency) on transportation and mobility from 2009 to 2011. He founded the Laboratory on Intelligent Vehicles (LIV) at Sherbrooke in 2012 involved in various R&D industrial projects related to intelligent vehicles (http://www.gel.usherbrooke.ca/LIV). He is a senior associate member of the Canadian Autonomous Vehicle Center of Excellence (CAVCOE) since 2013. Over the years, Pr. Gingras has been invited professor and a guest researcher in various universities across the world (France, US, Mexico, Australia). He was awarded in 2008 a Foreign Researcher Fellowship from the City of Paris, France, working at IFSTTAR at the Intelligent Vehicle Laboratory (LIVIC). As invited guest professor, lecturing a graduate course on intelligent vehicles at Cal Poly, San Luis Obispo, California in 2015. He was also visiting the CAOR at Mines Paristech in 2016. Throughout his career, Dr Gingras has published 2 books and has co-authored more than hundred publications, most of them related to the road transportation arena. He is regularly invited to give talks on the subject at various organizations, such as the Centre Jacques-Cartier in Lyon,or the Canadian Board of Insurance Companies. His research interests cover information processing, telecommunications, multi-sensor fusion and intelligent systems applied to automobile. 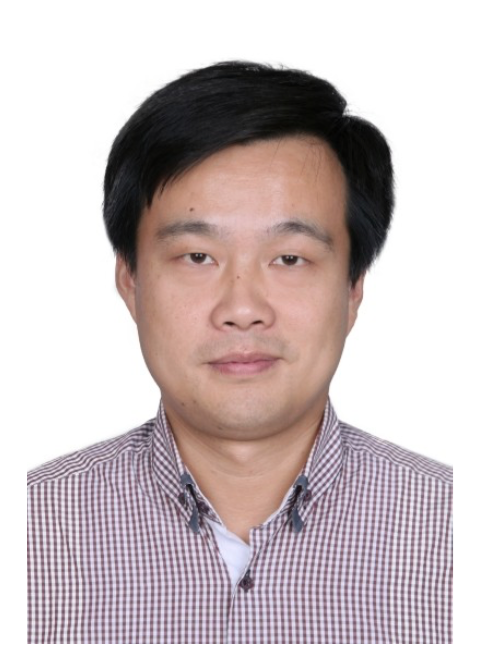 The Drive for All Chair is pleased to invite you to a seminar on “Service-oriented Cooperation of Driverless Vehicles-from model, mechanism to simulation” presented by Prof. Kailong Zhang of Northwestern Polytechnical University (Xi’an, China). This seminar will take place from 10:30 am to 11:30 am on Wednesday 29th March at MINES ParisTech. Prof. ZHANG Kailong is an associate professor in school of computer science and technology, Northwestern Polytechnical University (NPU), China, since 2010. He obtained his MS degree and PhD degree at 2003 and 2009 respectively. He has been connected with Networked Embedded Computing and Technology Laboratory in NPU since 2003. Now, he is also a researcher and the assistant director of Shaanxi Provincial Key Laboratory of Embedded System Technology. 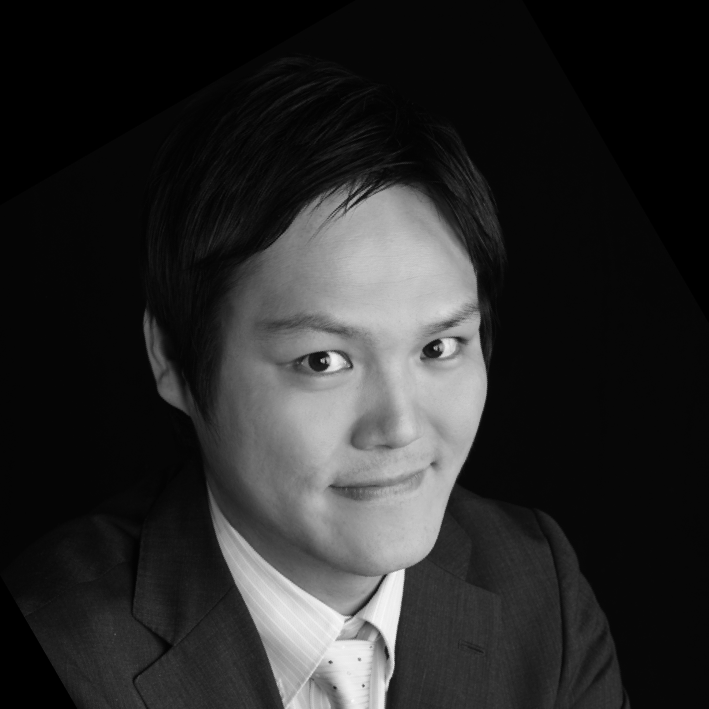 He has been conducting studies on intelligent embedded computing and real-time intelligent systems, covering the architecture, adaptive real-time computing, intelligent mechanisms and design methods for autonomous Cyber-Physical Systems. From 2012 to 2014, he was a post-doctor with the CyberCars program of the Center of Robotics in Mines ParisTech, Paris, France, mainly working on the cooperative mechanisms of multiple driverless vehicles by using state-driven automatic control and vehicular ad-hoc networks. In the field, he has undertaken/participated several China national/provincial important research projects, such as NSF projects and NDRC project. He has published more than 60 academic papers on international journals and conferences, such as IEEE Trans on ITS, IEEE Communication Letters, and IEEE ITSC etc. In recent years, he has won several awards for his research, including a HP scholarship (2006), a Shaanxi Provincial first Prize award of Science and Technology (2006), and a Chinese Ten Youths Award in Embedded System Domain (2011). Now, he also serves as the program committee member and reviewer to several international journals, typically including “IEEE Trans on ITS”, “Elsevier-Physica A: Statistical Mechanics and its Applications”, “Oxford-The Computer Journal”, “Elsevier- Ad Hoc Networks”, “Wiley-Security and Communication Networks”, “Chinese Journal of Computers”, “Chinese Acta Automatica Sinica”, and also to serial international conferences, IEEE PiCOM, IEEE ICESS, IEEE/ACIS ICIS etc. The Drive for All Chair is organizing a Seminar on the Autonomous Vehicle on 31 August 2016. This event is open to all and free, but registration is required. The Chair Drive for All hosted a seminar about conflict resolution for automated cars on the 1st of June 2015. The Chair had the honor to receive Alessandro Colombo and Gabriel Rodrigues De Campos from the Polytechnic University of Milan. [Actualité|Formation] MINES ParisTech, école d'élite en mode "Montessori"